Contoured medial and lateral semi-rigid uprights that conform closely to the ankle for immobilization, protection and comfort. Two pre-inflated air cells that can be adjusted to provide additional support and produce graduated compression during ambulation. 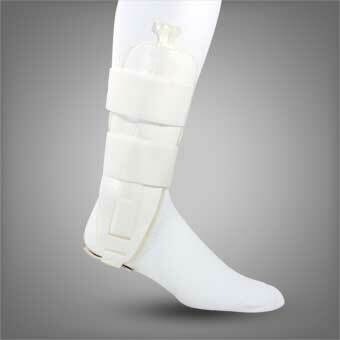 The ankle brace helps reduce swelling and edema, is easily adjusted for fit and has universal sizing.